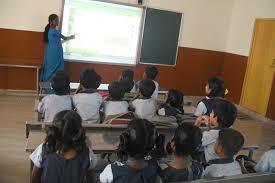 The Modi-led government has set the ball rolling on a New Education Policy. That this is being revisited after nearly 30 years does not take away from the fact that it has come at a critical juncture- when India is staring at a surging youth population, set to be the world’s largest in 2020. While most of the pressing concerns like re-assessing the government’s spend on education, access to quality education, innovation, research, regulation, poor ranking of our higher institutes globally and education financing etc. have been factored into the vision document, much will depend on how calibrated the government’s approach to solutions will be. The education sector is in dire need of new thinking and complementing radical steps. 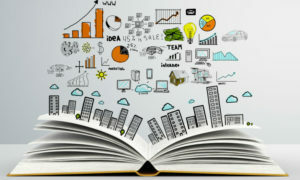 Traditionally, in the education sector, the challenge has not been so much about knowing what to do, rather the challenge has been to have the nerve and the action orientation to do what is required. The current government has to plan for a whole generation of young people thirsting for access to quality education. Time for incrementally relevant decisions is over, because we have simply run out of time. The time now is for radically big leaps. It is imperative, therefore, that the HRD minister acts with boldness, speed and vision and our new education policy reflect this. Only then can we hope to see visible impact in the short term, since we do not have the luxury of simply planning for the long term for our large, impatient young population with their pent up hopes and aspirations. The Indian education system has got a great opportunity to go digital, thereby leapfrogging the progress in education that other countries have done. Over the past 8-9 years, Indian schools and students have demonstrated that their ability to adapt to digital technology is no less than anybody else in the world. It is a fact that today many private schools in India which use products like Smartclass are way ahead of the technology adoption curve than many other schools in the US, Singapore and even Japan. There is a great opportunity in front of us to take e-education and spread it across the country. The advantages are quite obvious. With one stroke, we will be able to deal with the critical teacher shortage problem and also the teacher quality problem. We will also be able to make education contextualized, localized, relevant and consistent across the country. It has been proven through multiple studies that when kids are exposed to multi sensory and multimedia education, they absorb better and they are able to retain the learning content. One of the perennial problems in the Indian education has been the huge drop out ratio because students in school do not find education relevant or contextual to their surroundings. Using high quality digital materials will immediately ensure that every learner in the country will find it a joy to go school and immediately cut down the dropout rate. 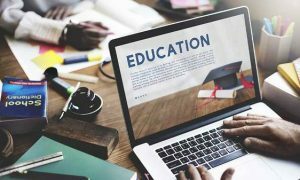 In the past, many proposals have been made to the government regarding e-education and this could be an opportune time to take up digital class room and digital education across the country. Then you consider it has taken about 60 years to create 1,200 odd Kendriya Vidyalaya, you know that your strategy is not working. Clearly, what is needed is to supplement new schools, institutions on a war footing. For decades we have limited the supply of schools due to self imposed illogical constraints on volumes by keeping private investment out of education. And yet, there seems to be no rationale to limit the participation of private capital in education. Various estimates suggest that in case private capital is freely allowed to participate in education, it can unleash an investment of over 10,000 crores over the next 12 months. That’s a huge sum of money and is the equivalent of building 1,000 new schools. When you consider it has taken about 60 years to create 1,200 odd Kendriya Vidyalaya schools, the logic argument for private investment in education makes sense. But what prohibits private capital now to enter education? Current regulations only permit non proprietary and non-profit bodies from getting recognition or affiliation from state education authorities or national education board such as CBSE and ICSE. What is interesting is that this is not the law, this is merely the fine print of regulation that has created a whole bunch of anomalies in the education sector. With a stoke of a pen allowing all kinds of bodies, whether for-profit or not-for-profit, to set up educational institutions, will overnight create an investment environment which will attract capital, not just from India but all over the world.